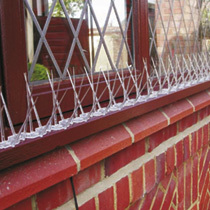 Deter birds from perching & roosting on windowsills, ledges, pipes, gutters and aerials, with these easy-to-install spikes. 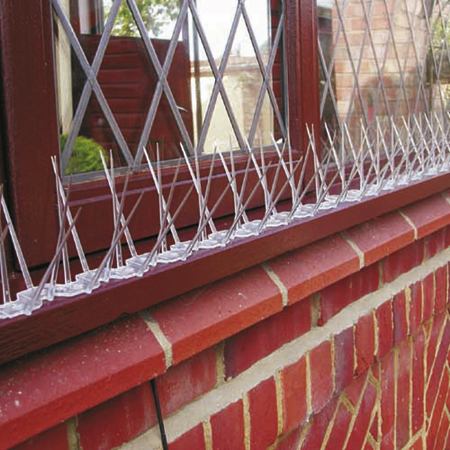 Made from super strong UV stabilised polycarbonate, they can be easily adjusted to the length required, and have a clever design that allows them to be installed flush to walls or window frames. 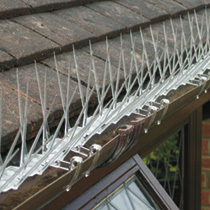 Simply fix with exterior silicone adhesive or screws (not supplied). Each pack contains 6 clips, 33.5cm (13") long strips - a total of 2m (6'6") of protection. BUY 2 SAVE £5.00! 2 Packs - SAVE £6.00!